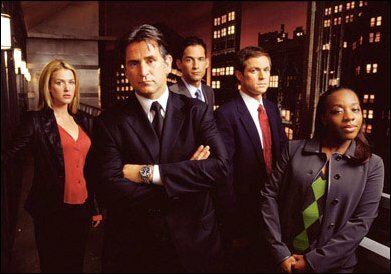 Without a Trace is a crime drama that aired on CBS. It revolves around the cases of the Missing Persons division of the Federal Bureau of Investigation in New York City. The show typically opens with a brief scene with the victim up until the last time they are seen, and then they fade out. A running tally of hours passed since the disappearance is shown throughout the show. Accounts from suspects and witnesses are presented as flashbacks. Without a Trace is kept fresh because there are many possible reasons for the person to have vanished, from a kidnapping, to a personal quest, to being a murder victim, and many more. Sometimes the missing person is even found partway through the show, and the investigation shifts to something else. Sometimes there is a happy ending, and sometimes there is tragedy, and the most interesting part of the show is that you don't know which it will be until the end. This page was last modified on 16 July 2017, at 21:58.